The difference between the two is that the first one has symbols and the second has text on it. These sell for about $150 new from the dealer or $118 from TRDSparks.com. I highly recommend them, as the part I received was pristine. 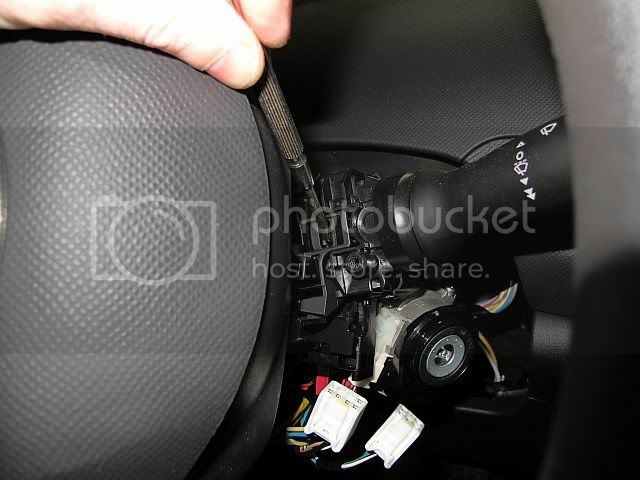 It has also been reported that the wiper stalk from the 09 Matrix / Vibe will work as well. It is part number 84652-0E050. 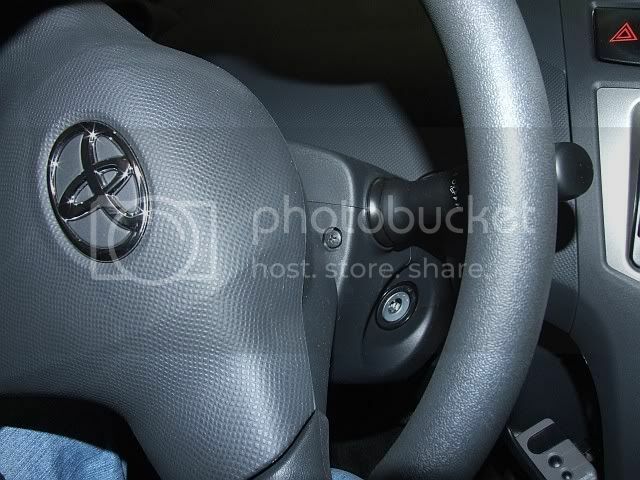 Remove the upper steering column cover by pulling up in the center and then sliding it towards you. Turn the steering wheel all the way to the left until it locks. With the small flat blade screwdriver press in on the retaining tab on the wiper stalk and pull the stalk to the right to remove it. Slide the new stalk in until the tab latches. Slide the upper steering column cover into place and snap it down onto its mounting tab. Slide the lower steering column cover into place and snap it into the upper cover. Wait for it to rain, and enjoy the intermittent front wiper! 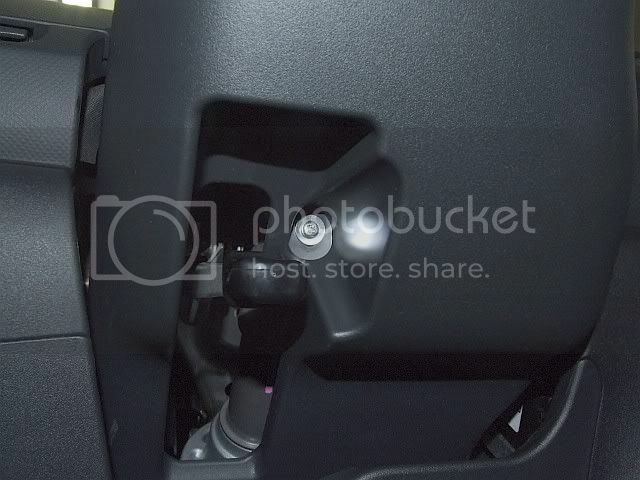 As mentioned in the other thread, the new stalk has a low and high setting for the rear wiper. 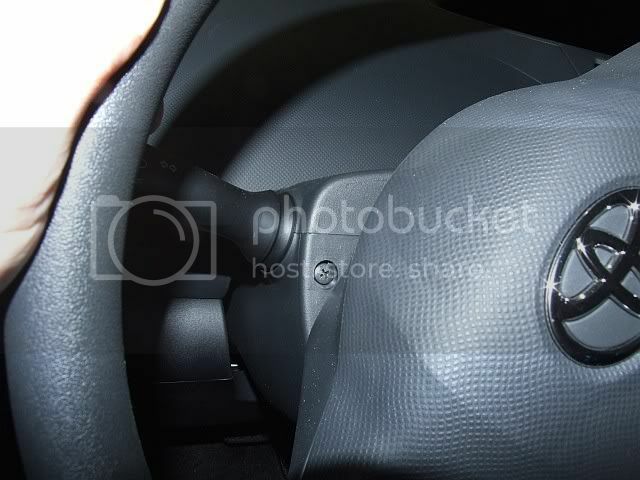 Only the high will work, as the Prius and the other vehicles have a rear delay module, which the Yaris does not have. 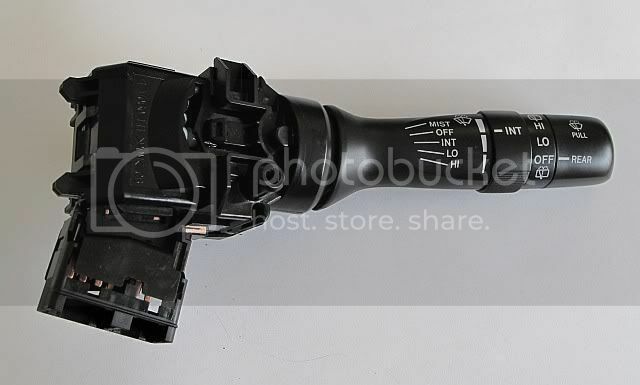 I purchased a used one of the 85940-47010 (Prius rear wiper relay module) to experiment with. Additional wiring is required from the stalk to the rear wiper to take advantage of the module (as it is wired on the Prius). 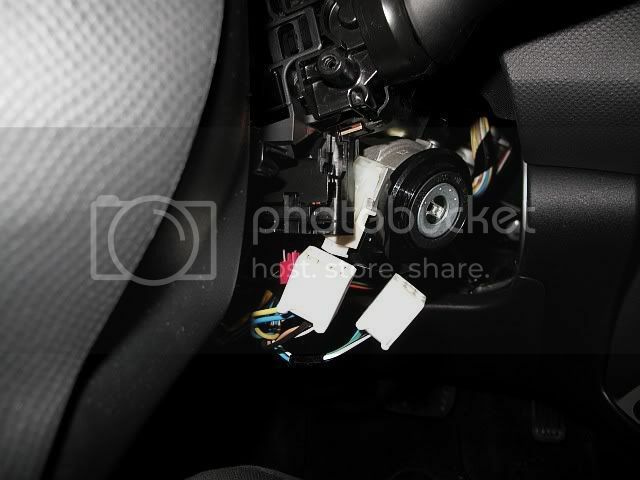 It may be possible to mount the module in the Yaris steering column instead, but it will require connecting to some pins on the Prius stalk that are empty on the Yaris harness (i.e. I'll have to find the correct pins to insert into the connector). Last edited by tk-421; 12-10-2010 at 01:16 AM. Reason: Added needed hyperbole. The big question is: Now that I have a Prius part on my Yaris, can i call it a hybrid? Could you also use this method to install the headlight stalk? Does the rear wiper move the same speed or faster with the new stalk? Very nice , only wish it would work for right hand drive Yaris. 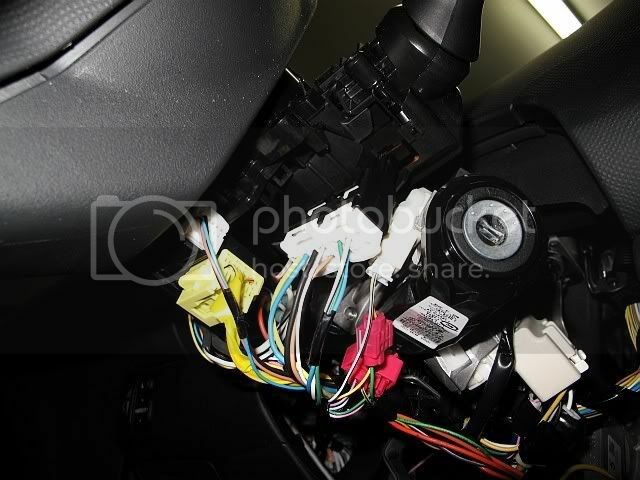 We need to change both Stalks , as or Yaris's controls are back front. Unfortunately the headlight stalk requires removal of the steering wheel. 808yarisLB did a write-up when he replaced his. 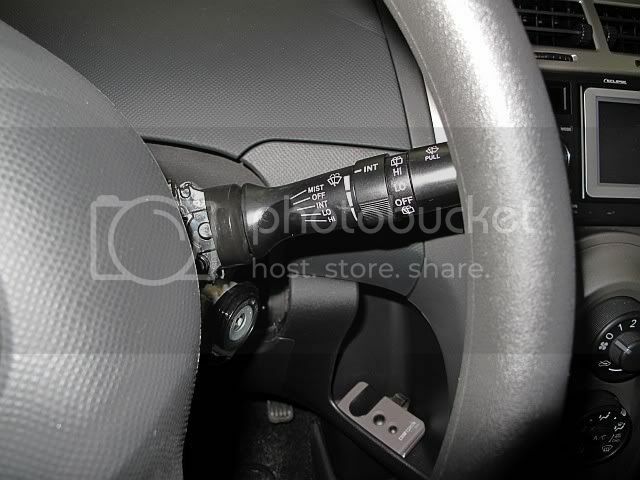 This picture from his shows the two stalks with the steering wheel removed. The headlight stalk and the center round area are all one piece, whereas the wiper stalk snaps into the whole headlight stalk assembly. Same speed. The "high" mode is the normal speed. The "low" mode, if implemented with the Prius module, keeps it moving at the same speed, but adds a non-adjustable time delay between swipes. Darn. lol was hoping I would be able to that myself. and I just realized that our cars have the stalks on different sides (i.e. I have the lights stalk on the right, wipers on the left), weird! I'm very interested in doing this DIY for my RHD Yaris.. I'm assuming we can just use our AUDM Rav4 or Prius wiper switches? I'm a tad confused regarding the "prius module" that CTScott mentioned. What's this part used for? If we just plug and play the Rav4 or Prius switch will the rear wipers not work..? Unfortunately, I am not sure about the RHD ones. 1MZ mentioned something above about having to change both stalks with RHD ones. For LHD ones, if we plug and play, our rear wiper works, but the other vehicles have two modes for the rear wiper, and ours only has one. To gain that second mode (which is a delay between wipe mode) we would have to use the Prius rear wiper delay module. So in theory, swapping out an AUDM Prius or Rav4 stalk should work out..
Nice, very nice, I haven't seen this till now, and that was one quirk that still drives me crazy is the non-adjustable intermittent wipers. It's been raining here quite a bit lately, and I am mighty glad I swapped mine.